Click to watch four minute video presentation of the rainfall and temperature forecast for November 2018 to January 2019. 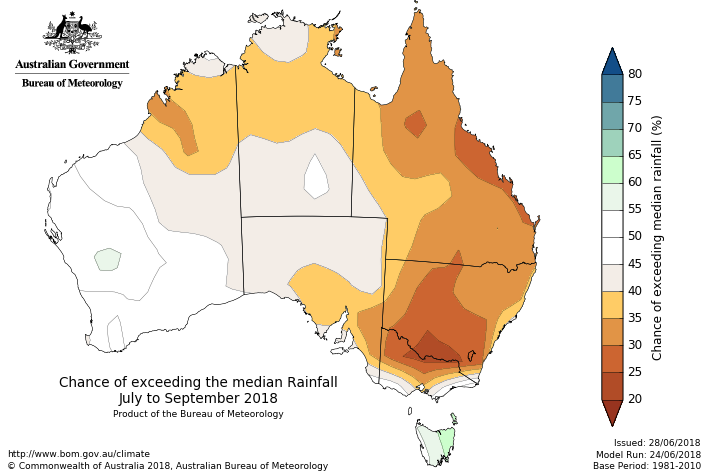 November to January is likely to be drier than average for large parts of Australia, according to the latest three monthly seasonal climate outlook statement released by the Bureau of Meteorology this morning. 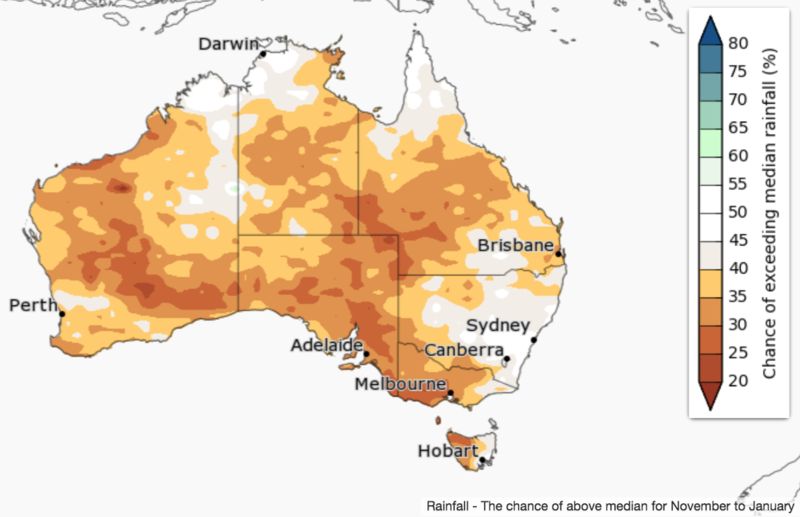 However, most of the northern tropics and eastern NSW have roughly equal chances of a wetter or drier three months, i.e., no strong push towards a wetter or drier season ahead. 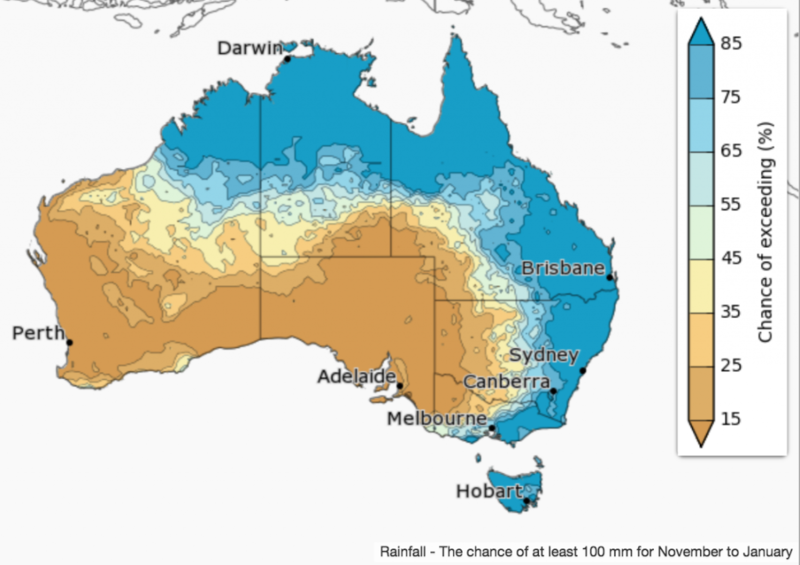 Most of Australia is likely to have a drier than average November. 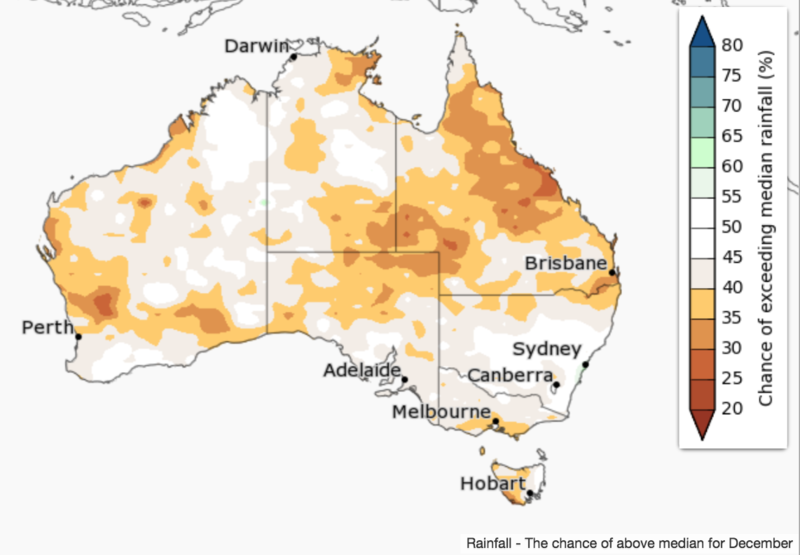 However, areas to the east of the Great Dividing Range have roughly equal chances of a wetter or drier than average month. 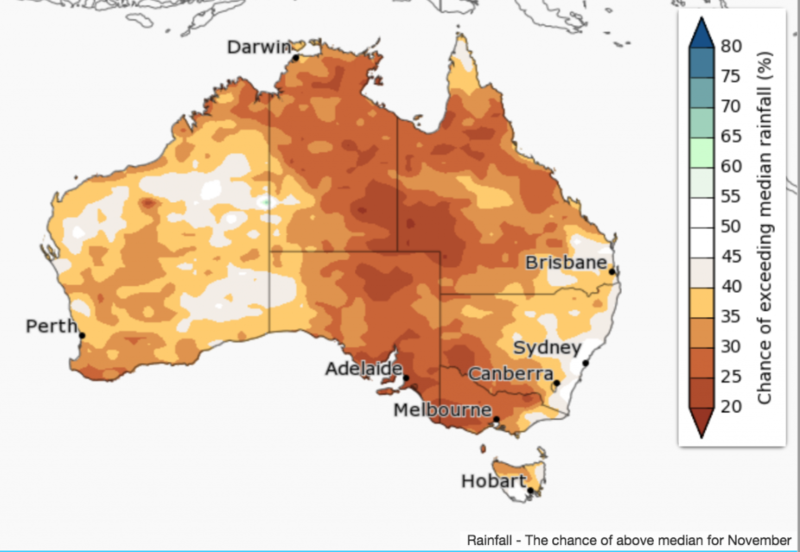 Much of eastern and southern mainland Australia has been very dry and warm since the start of the year. The November to January outlook indicates many drought-affected areas are not favoured to see significant drought-breaking rains in the coming three months. Historical outlook accuracy for November to January is moderate to high across the continent, with patches of low to very low accuracy in the NT, inland WA and northeast NSW. 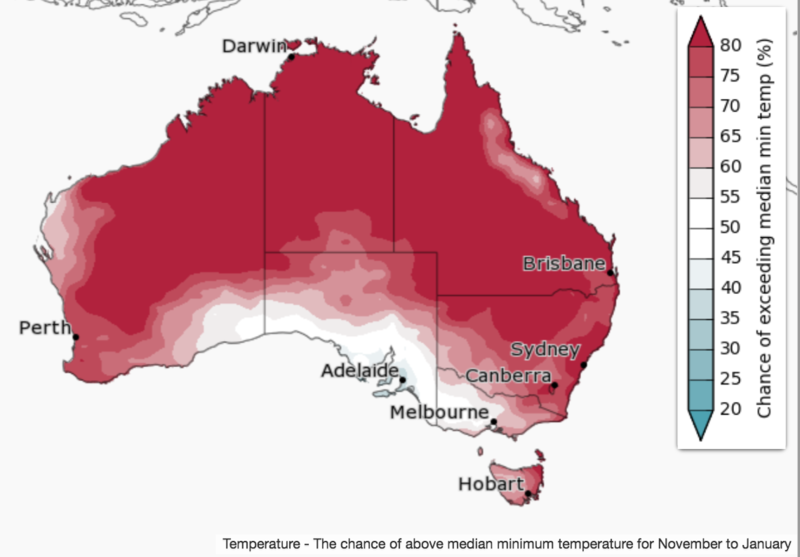 Above-average daytime temperatures observed across Australia during 2018 are likely to continue into early 2019. November to January days are very likely to be warmer than average for most of Australia. Chances of a warmer three months are greater than 80pc over most of the mainland. Nights are also likely to be warmer than average across Australia, except for southeast WA, southern SA and western Victoria, where the chances of warmer or cooler nights are roughly equal. Historical accuracy for November to January maximum temperatures is moderate to high across most of Australia, but low in northern interior WA and the southern NT. Minimum temperature accuracy is moderate to high for most of Australia, except northern WA, the central NT, and central to northern parts of Queensland where accuracy is low to very low.